My passion is helping people connect the gospel to everyday events. I post sermons, reflections, and movie reviews here to invite further discussion. Why are we doing these things, people??? 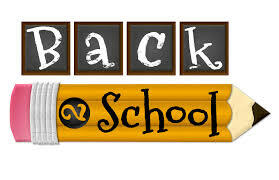 So whatever forces are feeding their denial, it's the real deal: school starts Monday. This Sunday is Back to School Sunday, where we will bless backpacks and pray for students, administrators, teachers, and staff. There is still time to invite someone to worship! There will be signup sheets out this Sunday, or you can let the church office know which meet and greet you would like to attend. Not really a get to know you deal, but more of a fellowship time: Christy is organizing a women's Bunko night at the church Friday, September 9. I've heard they are fun, but honestly I have never been welcome to attend, so who knows! Thanks to everyone who has done so much to make us feel welcome: meals at the house and after worship, play dates for the boyos, tips on navigating the schools and town, encouraging words about sermons, etc. I am excited to share that hospitality toward others in our community, this week and beyond, as more and more people learn about the loving congregation at Grace UMC. All grace is amazing! 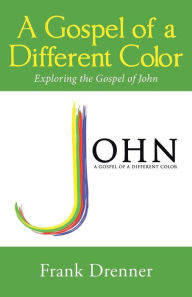 I am the senior pastor at Grace UMC in Sherman, TX, and the author of A Gospel of a Different Color. I am married to Christy and we have three boys. Click the image above to order a copy of my new book on the Gospel of John!